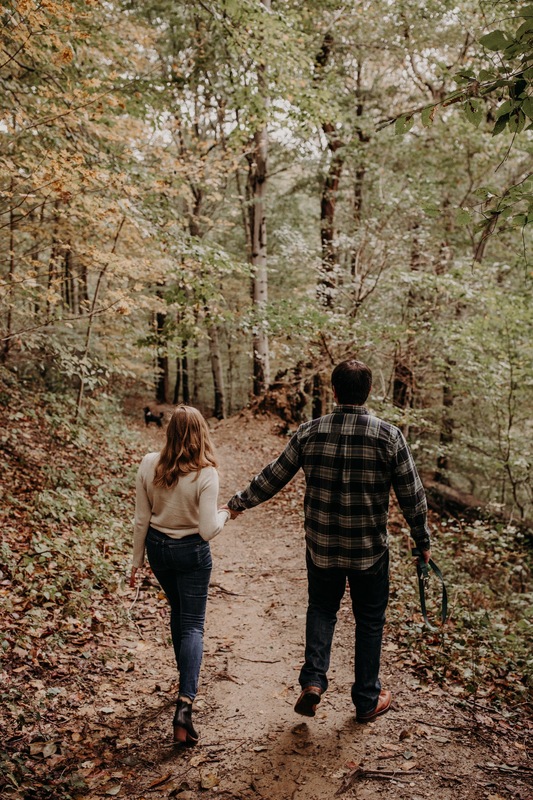 Ok you know when you have that dream of shooting an engagement session of friends in the fall in a forest like in Washington D. C. ? Just me? Well let me tell you about this dream of session. First of all, they brought their lovable dog baby (Nordog or Nora). I’m a huge dog fan. Second, I don’t think I’ve had a couple giggle as much with each other than these too. It was a full on giggle fest. Third, the setting couldn’t have been better. The air was crisp and cozy and clean and Catie and Alex gave me a nice a little personal tour of the nations capital including a little walk in the park . It was stunning. One of the reasons I love being a destination photographer is to explore different places all the time. I lived in the states for 30 years and never went to DC till now. Dreams do come true! !